Chamonix. A magical name that's been given to a vineyard in South Africa, a make of car in Brazil and a restaurant in Mexico. A mythical, mesmerising town surrounded by majestic mountains and glaciers just a stone's throw away. This is the dream and Mathieu Giustini got to live it. 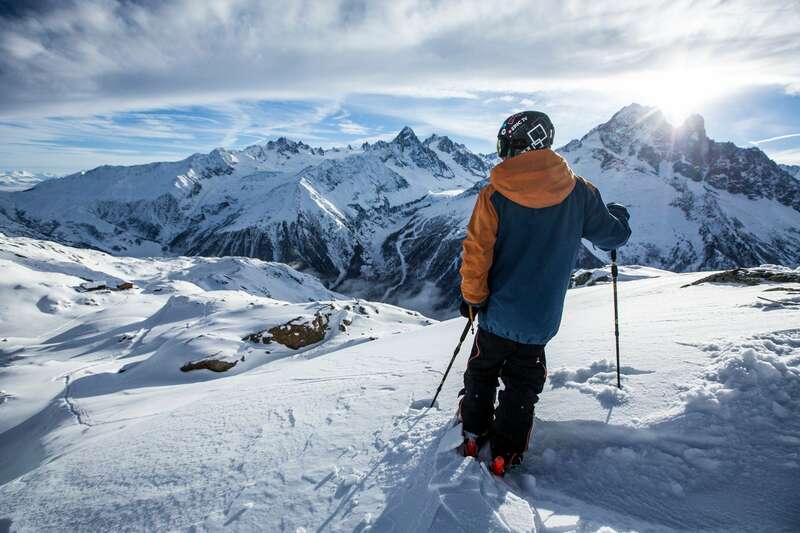 His video won him the White Session 2015, giving him the chance to spend a week riding the best bits of Chamonix with Sam Favret, a born and bred local and backcountry ski prodigy. Our report on a week of memories as unforgettable as the valley snows! Often forgets his studies on powder days. 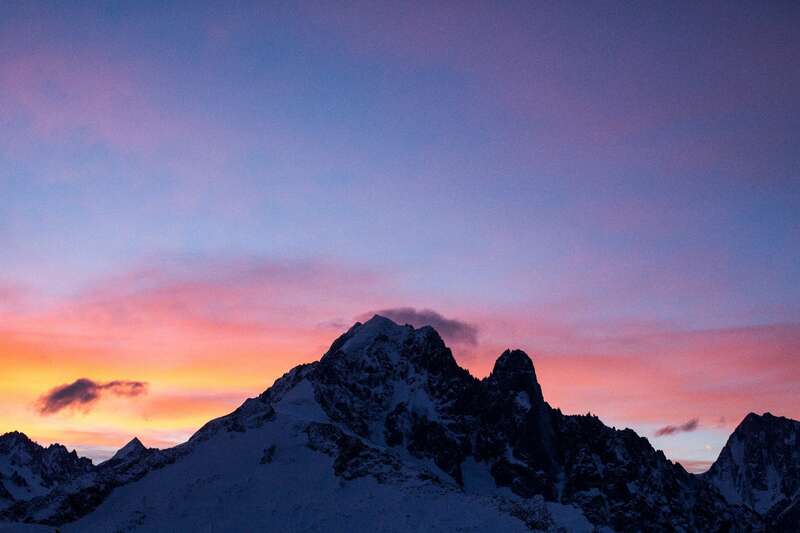 "I'd never set foot in Chamonix before. So you can imagine how thrilled I was when I knew I'd be there with Sam!" WELCOME TO MY GARDEN ! "Welcome to my garden!". This is how Sam welcomes Mathieu at their first dinner together. Mathieu's initial bashfulness soon evaporates as he gets to know the Chamonix native. Briefed by the production team and photographer, he listens carefully to what's expected of him over the course of a week like no other. A week he'll live in the boots of a pro, riding with one of his idols. A dream come true. Sam wants to introduce Mathieu to one of his favourite spots for sleeping at altitude: the Refuge du Lac Blanc. The refuge is only open in the summer. But as the owner's son is one of Sam's friends, the team get to enjoy an opening by appointment. The only drawback: as it's shut down for the winter with no electricity, heating, food or bedding, everything has to go up on skis! With all the audiovisual gear and not forgetting the local fondue Sam's keen to share, they're definitely pulling more than just their own weight! But the ascent is soon forgotten in the magnificence of their new surroundings. 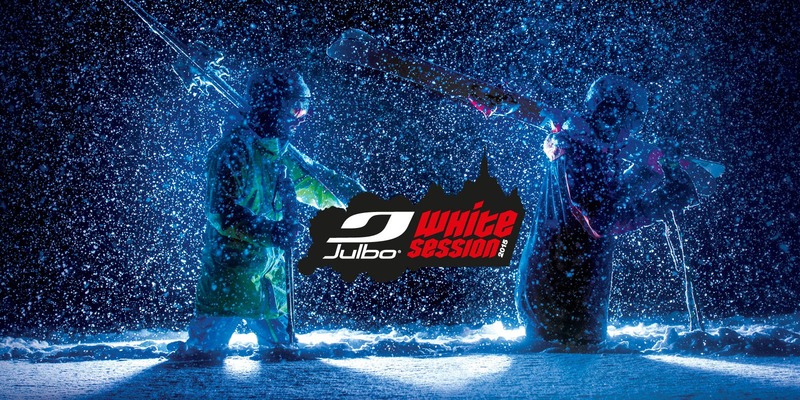 The weather's perfect, they're alone in the world and the White Session starts to work its magic. 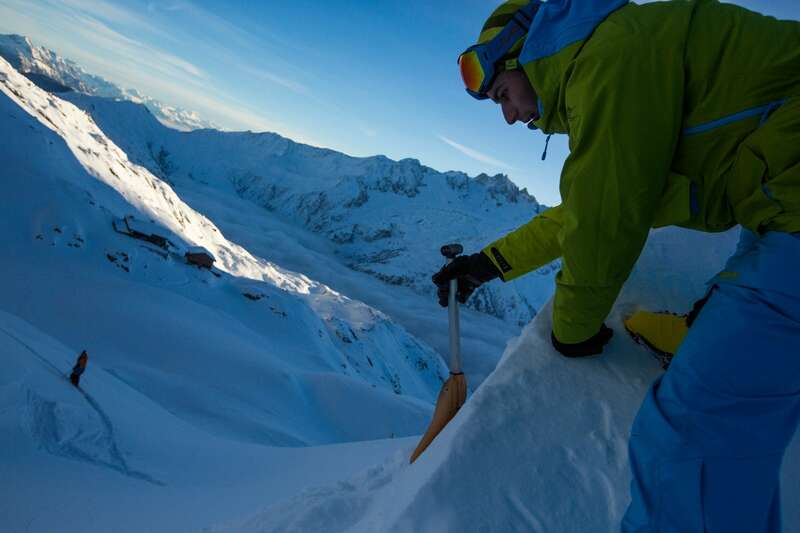 After clearing the snow from the hut entrance, the dream team keep on shovelling to shape a kicker opposite Mont Blanc. Once the jump's made, they let the snow "tighten up" overnight, one of the tricks of the trade. 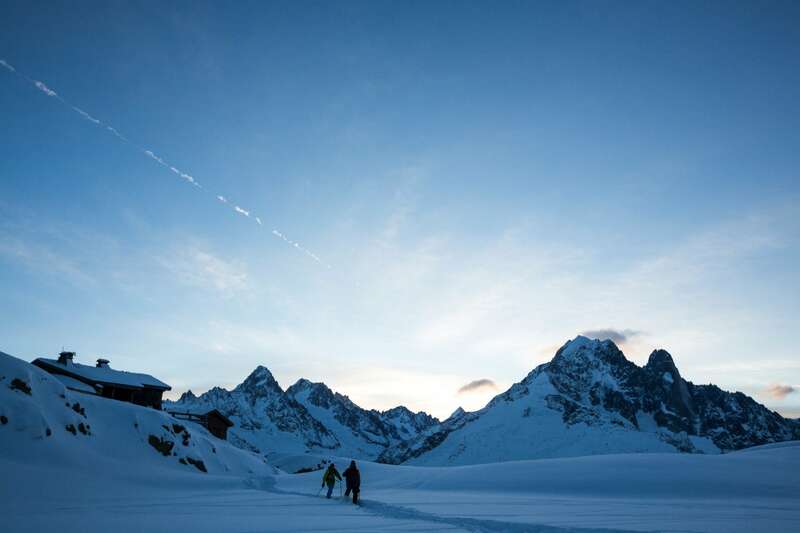 Then it's back to the hut at sundown with one of the most stunning views in the world. A perfect moment before the next one: extreme fondue in an ultra-friendly atmosphere despite the ambient cold! COLD INSIDE, HOT STUFF OUTSIDE! At an altitude of 2300 m with no heating, waking up is so nippy that the team are reluctant to leave their sleeping bags. Mathieu has clearly spent the night with a very frozen pair of feet. Even though we did tell him to bring a good sleeping bag! After breakfast, the team gets ready to check the kicker. After a few speed checks, Sam takes off for a perfect first jump. Then he decides to go a bit higher up the slope to test a little lip he's noticed. Sam lets rip on this improvised jump. Mathieu, now super-motivated, benefits from Sam's invaluable advice to take his turn at launching airs under the eyes of the production team who capture every last second. A fine day of fun before heading back to the valley with singing hearts. After a day off featuring a big "dump" of the white stuff, they decide to ride under the Plan de l'Aiguille, a spot known only to locals. This is not a place to lose your way, as the end bit in the woods can quickly become a nightmare if you're not familiar with the terrain. 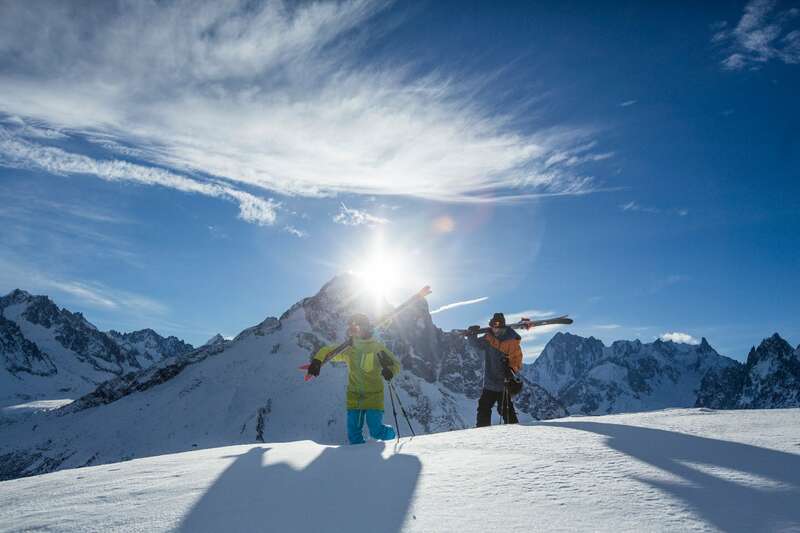 With 40 cm of fresh powder, Sam and Mathieu live it large and make some great jumps. So great that they go back in the afternoon, and finish not long before nightfall after wandering for a while, unable to see the wood for the trees. It's like a jungle here and you have to earn the right to make your mark in these remote spots a long way from the chairlifts and easy spins. 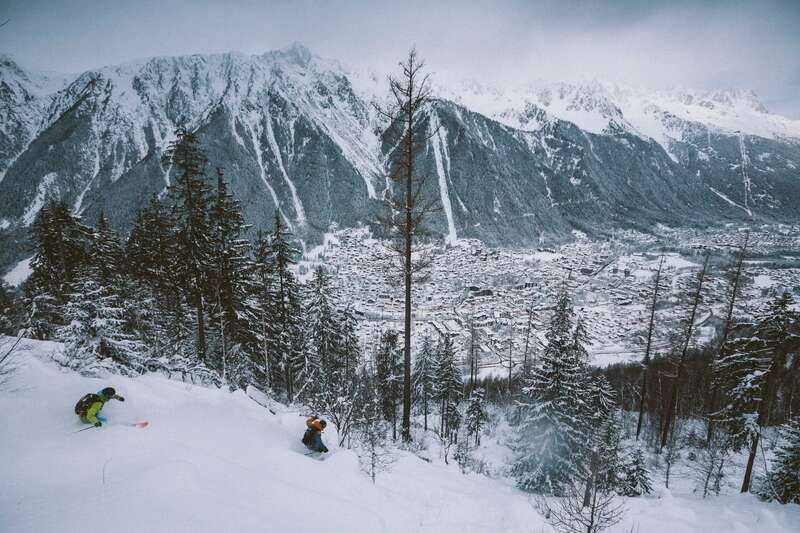 Because this is Chamonix, and everything's skiable! For Sam, skiing in Chamonix works by day and by night! So he decides to introduce Mathieu to the secrets of a night shoot. Getting great pictures is more of a challenge. You need to bring spotlights, find the right spot, curve a line and do it over again. In other words, a pretty physical experience. But once you get the generator going, all that's forgotten in the magically illuminated forest. Mathieu learns the "cool turn"under the direction of Sam and this White Session finishes late in the night with some amazing images. 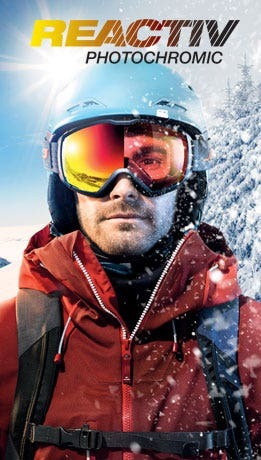 "It was just so cool to ski with Sam!" 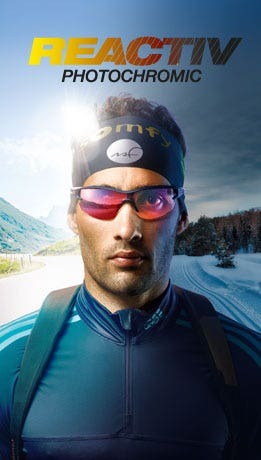 "Thanks first of all to Julbo who made my dream come true. 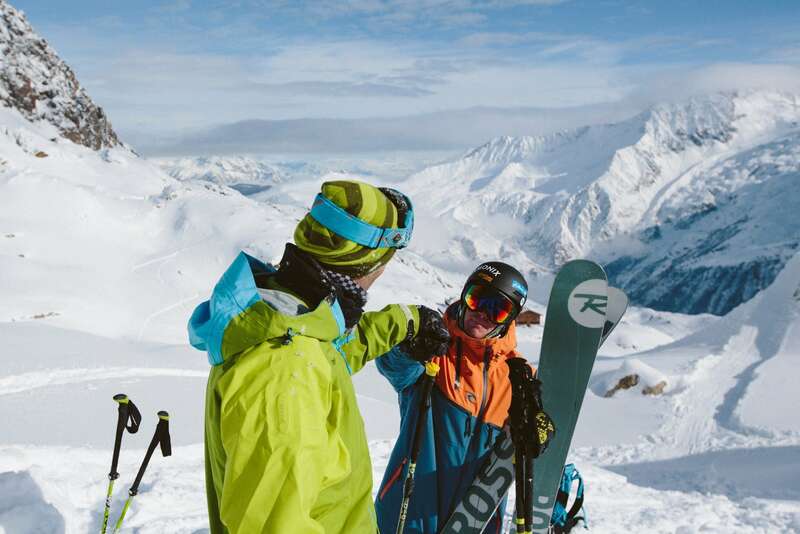 But also to Rossignol, Bergans of Norway and Skipass. Thanks to Dino, Thibault, Jérémy and Baptiste, the White Session dream team, for a fantastic week in a brilliant atmosphere where I learnt so much about how ski images are made. And I promise, I'll train hard for the "photo turns". And of course, a huge thank you to Sam for his great kindness, his invaluable advice and his Savoy fondue: it was really cool! And thanks also for inviting me into his home after the White Session so I could spend longer in Chamonix and ride with his buddies. A week of sharing and excitement, it was a magical adventure in the mountains and everything we love about them. An experience I'm not about to forget." *"Au revoir" in the local dialect.